8.00 am, Journey time 2 hours (45 minutes to Koh Jum). 08.30am, 13.30 pm, To Ao Nang, journey time around 2 hours, to Phuket, journey time around 4 hours. 8.00am, 13.00, To Koh Phi Phi jouney time 1 hours, for Phuket, change boats in Phi Phi. 400 meters form our resort to saladan ferry pier, you have both ways to choices. take a taxi is 50 THB. per person or walk about 5 minute to the pier. Koh Lanta is accessible from the mainland by car or passenger ferry. The passenger ferry operates during November to April only and is the most popular option during this time. During the off season and after the last passenger ferry has left, the only way to get to the island is to drive. What are your options if you will be arriving into Krabi Airport after the last passenger ferry for Lanta has left? You can either take a private transfer by road, book this in advance through your hotel, or take a taxi directly from the airport. The cost of either of these options will be around 2500 - 3000 baht one way. The airport service is by private minivan only and has a fixed price of 3000 baht / one way. Note that as there is yet no bridge joining Koh Lanta to the mainland, you can only leave or arrive on the island during the hours of (approx.) 6am to 10pm, while the car ferry services are running. The only way to leave after these hours is by private boat. Passenger ferry times and prices from Koh Lanta to Koh Jum, Krabi Town, Ao-Nang, Railay, Koh Phi Phi and Phuket. Mu Koh Lanta National Park actually concists of several islands covering 134 km² and there is more to see on the some of other islands than on main island. Most people visiting Koh Lanta does not know there is a national park in the island up until they arrive and ask around about activities and attractions in the island. They would normally be told that there is a national park at south end of the island. 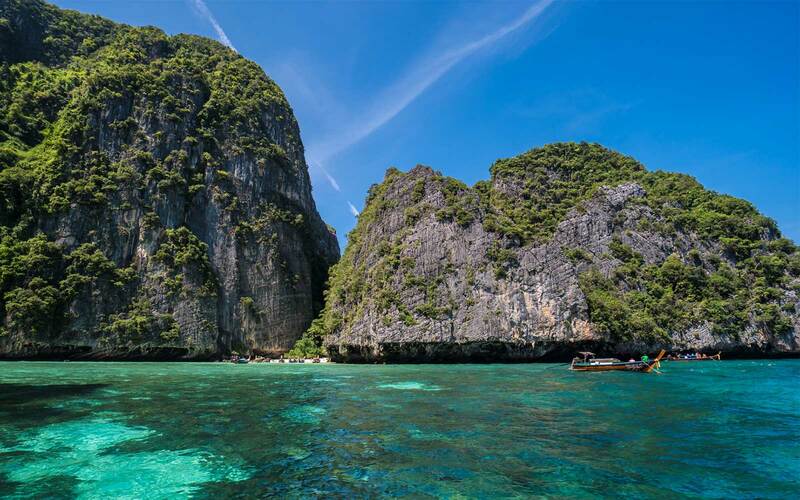 The national park consists mainly of rugged hills covered with 20 km² rain-forest and beach forest along the coast lines at Koh Lanta Yai and Koh Ngai. Other islands like Mai Ngam, South Mai Ngam and Ngu islands are covered with mangrove forest. The national park is home to nomadic sea gypsies called Chao Le. They are well known for their traditions of setting boats a drift during the full moon in June and November, according Chao Le belief to drive out evil and bring good luck. The parks main attraction and activities are many white beaches, trails, viewpoints and some very impressive caves. 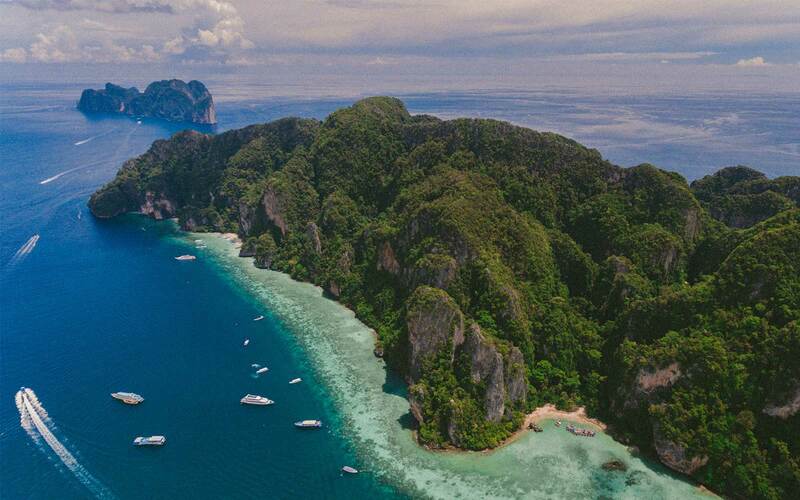 The smaller islands are popular diving sites for both snorkellers and scuba divers with possibility to see some of exciting tropical marine life found in the Andaman Sea. 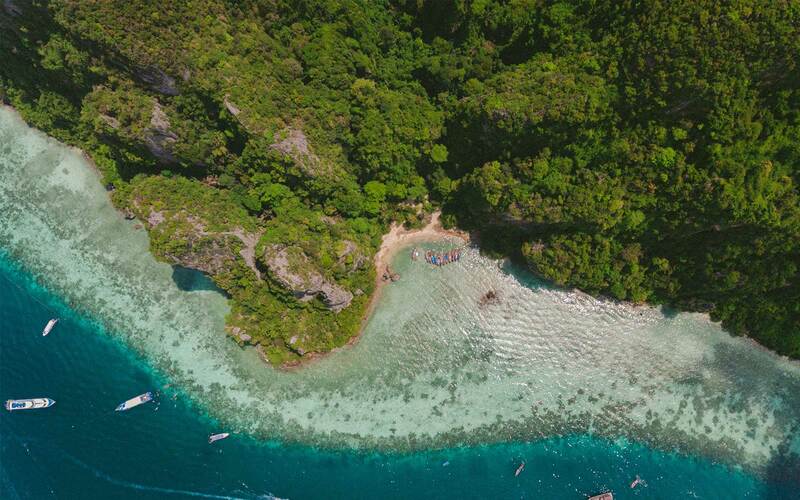 For visitor safety and marine life recovery, most of smaller islands are closed for visitors in rainy season from 16th May until 31st October every year. As of 22 April 2016, the Koh Lanta bridge which connects the two islands of Koh Lanta Noi and Koh Lanta Yai is finally open. Note that there is still no bridge from the Krabi mainland to Koh Lanta Noi. The Koh Lanta bridge is now open after years of work. However, you still cannot drive direct from Krabi to Koh Lanta as the bridge only connects the islands of Koh Lanta Noi and Koh Lanta Yai. A car ferry continues to operate between Krabi and Koh Lanta Noi. Koh Lanta Old Town, located on Koh Lanta East coast, was once the island main port for trade. Now Lanta Old Town is a charming place to visit which looks and feels like it is stood still in time. Lanta Old Town was originally a sea gypsy settlement. Over the decades it transformed into a village influenced by trade. Now you can enjoy many shops, restaurants and homes built on stilts above the sea level. This is great when the tide is in and also overlooks other islands and the mainland allowing breathtaking views. Emerald pool or 'Sra Morakot' in Thai is a truly wonderful natural pool in the middle of the forest filled with glistening clear spring water. Sra Morakot is almost a round pool about 1-2 meters deep and 20-25 meters in diameter. The color of water changes into pale green or emerald upon the reflections of the sunlight. The water of Sra Morakot comes from the spring-fed pool known as “the Blue Pool”, 600 meters away on the hill. Sulfurous, alkaline water from the Blue Pool wells up and flows through cracks in the rocks to cascade down to Emerald Pool. Consequently, the water is always clear because of the high calcium carbonate that makes all the suspended particles settle to the bottom. In addition, algae cannot grow in the water. Emerald Cave (Morakot Cave) - The cliff ranging at the west of Koh Mook is the site of Morakot Cave. Emerald Cave (Morakot Cave) - The cliff ranging at the west of Koh Mook is the site of Morakot Cave. To admire its beauty is to swim about 70 m through the cave. The destination is a large hall without roof, emerald sea and white sand which achieve the world fame. e of marvelous natural surroundings, white clean sandy beach, emerald colored sea where every group of tourists will spend some time admiring after swimming through the cave's entrance.